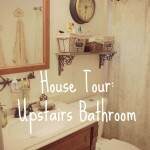 While a 2nd bathroom is in the plans sometime soon, we knew that we had to make this one work for the time being. Our first objective was to add lots of storage along the walls. 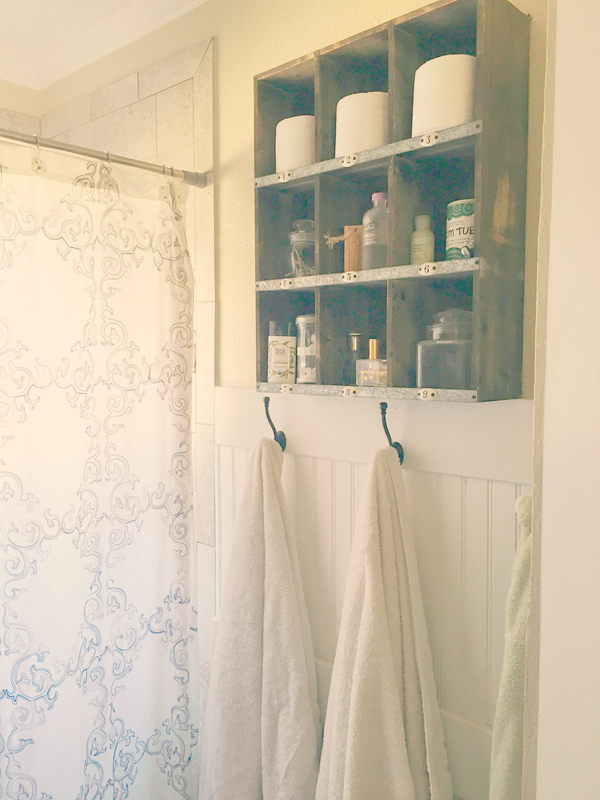 We needed a place to hang out towels, so we constructed a bead board wall with hooks. 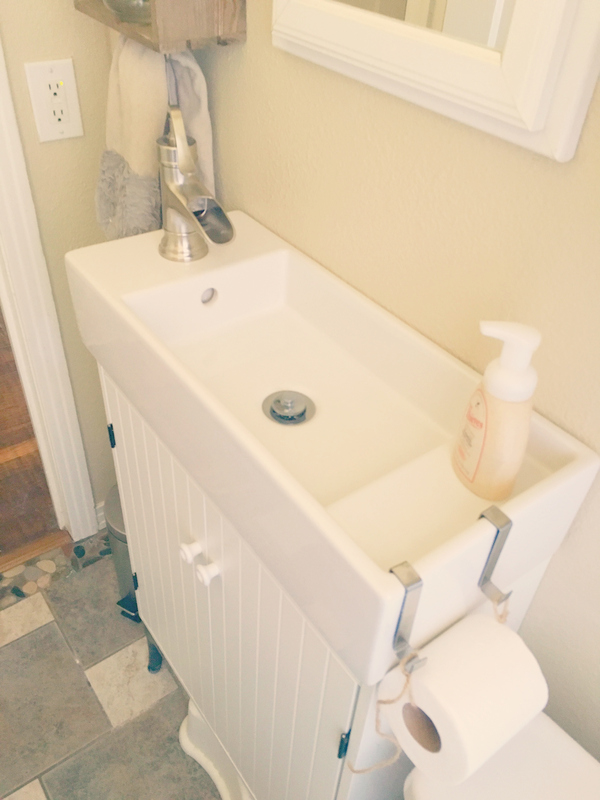 When we moved in, there was a wall-sink installed. While it made the room look more open, it also meant that the pipes were exposed and that NOTHING could be stored underneath. So, for my birthday, (at my behest) my dad bought and installed a special kind of sink from Ikea. It’s wider than a normal sink, but much much narrower. These new dimensions give us more walk space in and out of the door (it makes a HUGE difference) plus extra storage underneath. 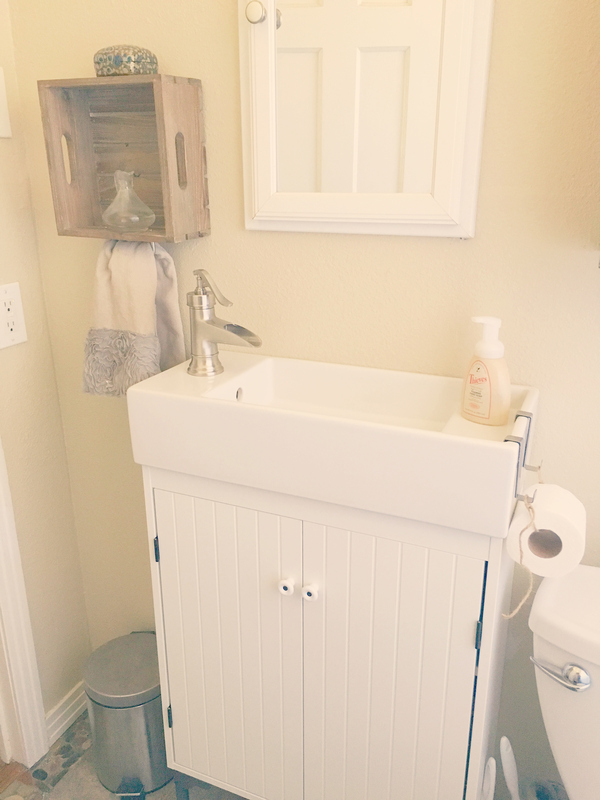 We even left 6-7″ underneath the sink so that we could store away the kids’ step stool. I love not tripping over that thing constantly, let me tell you! 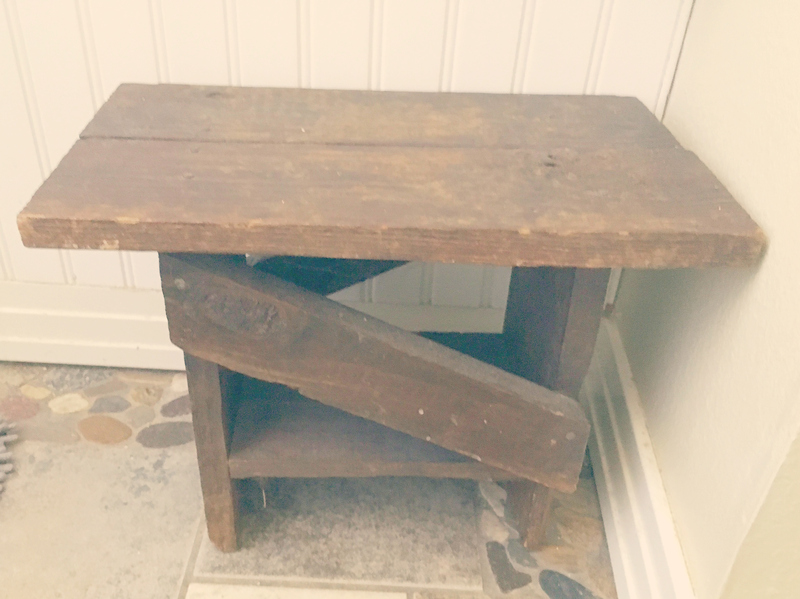 Speaking of stools, I picked up this rustic looking one at a yard sale. We use it by the shower to put things on when needed. 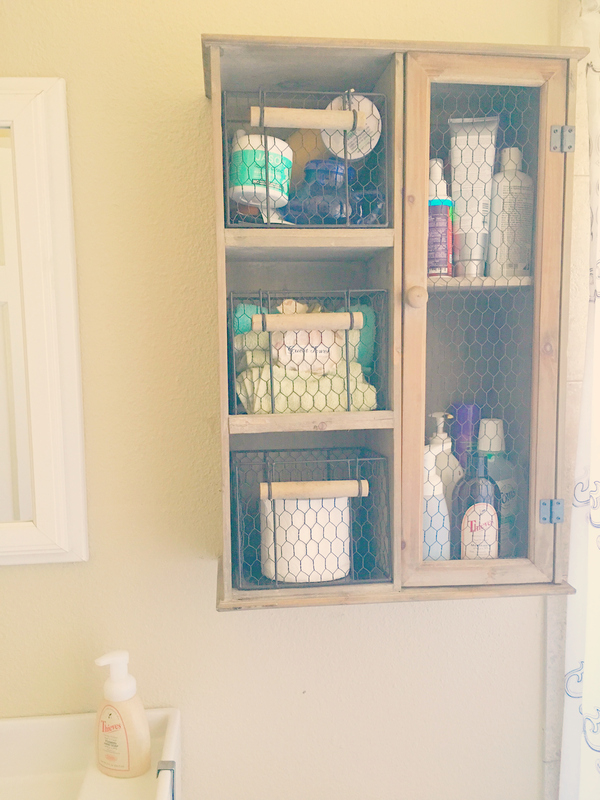 Last but not least, I made a shelf/towel holder out of a crate. 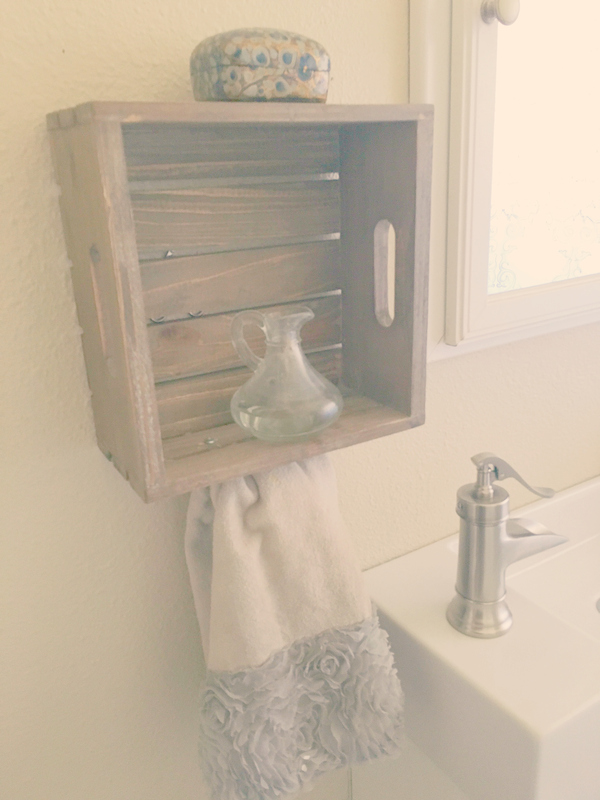 I hung it on the wall, then screwed in a bar cabinet pull underneath for the towel rack. Most people are surprised when I tell them that our family of 4 shares one bathroom between us, but there’s a part of me that really loves it! 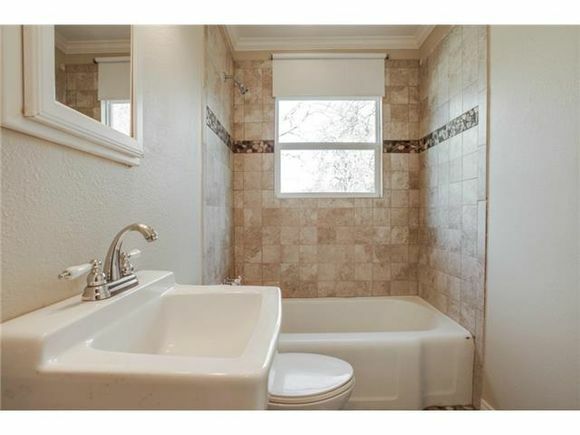 Only one bathroom to clean? Yes! Eventually, as our family expands, we will add more space. 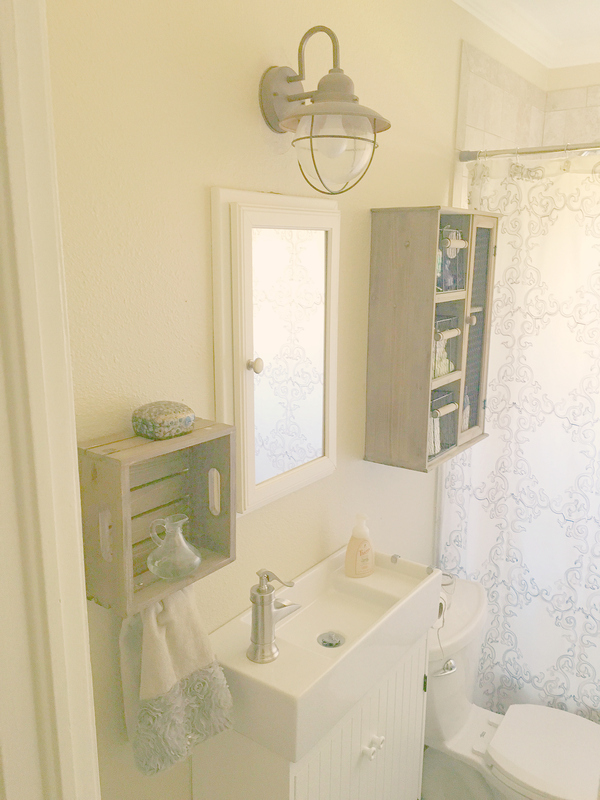 But for right now, we are loving our cozy rustic bathroom! 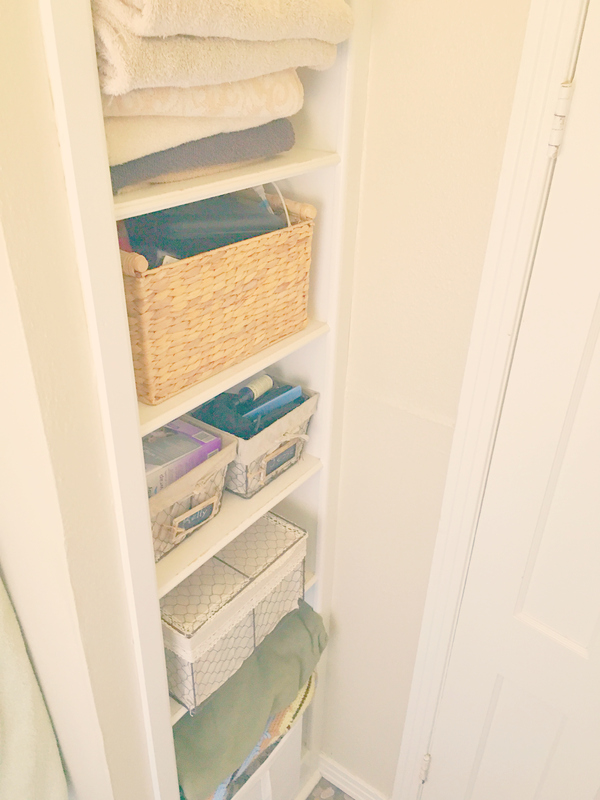 I love all the storage you put in place. 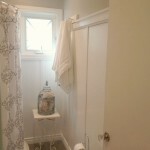 I am always telling clients with children.. hooks instead of towel bars! 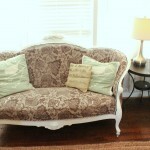 You did a great job – it’s so charming and rustic, love it!